Fishing provides essential revenue and protein. The number of people and villages inside and surrounding the park has grown considerably in certain places over the last century, with strong adherence to traditional practises and rights. It is therefore not unusual to see local people walking their cattle or fishing in the park. Liuwa employs local people in a range of roles, including village scouts and park administration. Two members of the Barotse Royal Establishment are present on the African Parks Zambia board to provide a voice for the people regarding governance and decision making. Through Liuwa’s Environmental Education Programme (LEEP) conservation clubs have been established in several schools in and around the park, with the objective of increasing environmental awareness and highlighting opportunities to improve livelihoods through tourism and conservation. The park also has a school sponsorship programme that provides bursaries and covers the costs of schooling and boarding fees, along with textbooks, extra learning material and uniforms. The park also trained teachers in the use of ZeduPads, an educational preloaded tablet, to improve the teaching process and information exchange for students in rural areas. The park has also built new classroom blocks and teachers’ housing. African Parks makes monthly payments to a Community Development Fund established by Liuwa Plain National Park. The amount is directly linked to the degree of poaching occurring in the park, with larger sums being awarded in acknowledgement of effective anti-poaching efforts by a community. Proceeds from the fund are used for projects chosen by the communities themselves, and have included canoes for transport, building materials for school buildings, teachers’ houses and rural health clinics, and equipment for clearing canals. African Parks also supports the Barotse Royal Establishment’s (BRE) cultural fund, which is used for a variety of activities including building rehabilitation and funding traditional rituals and ceremonies. A permit system has clamped down on illegal fishing. Stimulating sustainable businesses for local communities is one of the goals of Liuwa Plain National Park and to achieve this, communities have been assisted with the establishment and management of their own campsites within the park, with all proceeds accruing to them. A new fisheries plan led to the introduction of regulations and a traditional fisheries permit system aimed at curbing the use of illegal nets and practices. A series of meetings with local fishermen, traditional parliaments and the local chiefs were held to clarify penalties for breaches and address the implementation of the new fishing permits for the hundreds of traditional fishing pools inside the park. The creation of more productive learning environments for local children is a priority to ensure that future generations have more choice in terms of the range of careers available to them as they grow up. 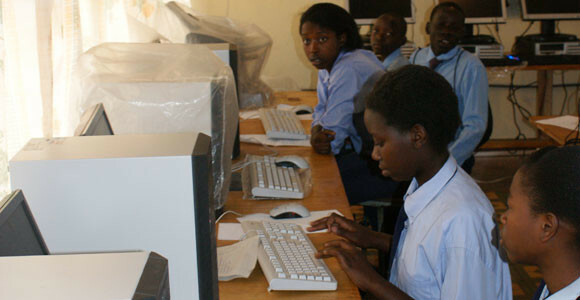 A number of projects have focused on bringing better technology into the schools, including the construction of computer laboratories at two schools, equipped with the latest technology.